What is a CDN and the Advantages of CDNs for website hosting? Utilising a CDN (content delivery network) will have a huge impact on your website and its services. A CDN helps in increasing your website’s speed and improving its performance. It also ensures that the end users receive the same quality experience, when accessing your site from any part of the world. To decide whether one should use CDN or not, you will first need to understand the meaning and working of CDN. This cached content is then stored on each server, each time a user tries loading a web page, they will be able to receive the files from the server which is geographically nearest to their location. The user receives content from their nearest data center in the CDN network, instead of receiving it from a farther location on the other side of the world. This helps in improving the latency, allowing the pages and content to load faster. This results in delivery of better quality of content to the users, for example an enhanced gaming experience, improved video streaming and faster downloads. The final result is attaining superior site performance. Your site visitors will receive fast and consistent content, which will give them an improved user experience. The speed of your website also has a direct impact on the search engine optimization (SEO), as Google takes into account the site loading time, while ranking the sites in their search engine. Improved Site Loading Speed – Using a CDN, you can send the site content to the users directly from their geographically nearest server. This will result in the reduction of the site loading time. Reduced sit loading time, improves the end user experience, which can help in improving the time-on-site stats, number of return visitor, and eventually the conversion rates for your site. Delivery of Consistent and High-Quality Content – The delivery of content becomes more consistent with the help of a CDN. Especially when it involves streaming of videos or loading high-resolution images. By delivering high-quality content, CDNs have a deep impact on the website’s performance, unaffected by the location of the users. Reduction in Server Load– If your website tends to receive high volumes of traffic, with sudden increase at certain times of the day, then using a CDN can help you reduce the server load. Since the files will be requested from different servers located across the network, the load on a single server is comparatively lower. Search Engine Optimization (SEO) – An improved speed, reliability, and overall performance of the website will help with SEO Ranking. All the above points of speed, reliability, etc. are very important for Google to determine your site rankings. And with attaining higher pages and posts ranking in Google, and other search engines, you will able to reach and target a wider audience. Security – Most of the top and reputed CDNs implement extra security measures, this will help in keeping your website and its data safe and secure. Crash Resistant – A single server may find it difficult to handle high traffic load during peak times. A CDN helps in spreading the workload to various servers, whereby reducing the chances of your site crashing or being down. Round the Clock Support – Depending on the services you have opted for, CDN providers offer best in class support around the clock. This is very important during crucial times. Their support can be useful during set up, and also as a continuous service to ensure that delivery of your content runs without any issue. Velocity Consultancy is a Mumbai based Web Designing and Web Development Company. As one of the top web development companies in Mumbai, we work towards turning project concepts into reality and develop the best quality websites for our clients all over the world. Our professional team of developers can help you integrate your website with a professional CDN provider, for attaining superior site performance. 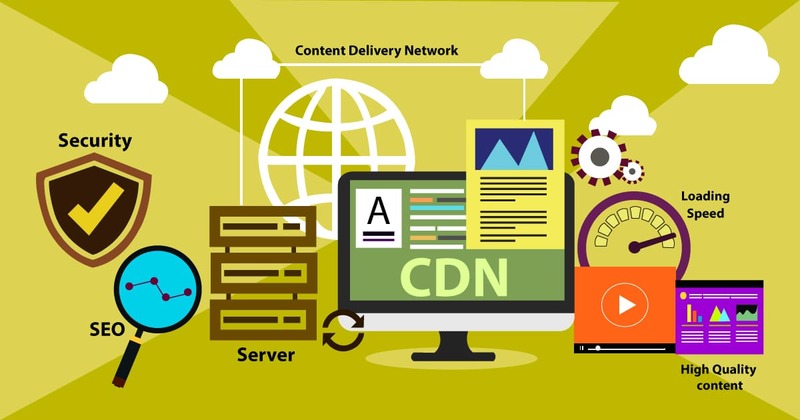 What is a CDN (content delivery network) and the Advantages of CDNs for website hosting? Utilising a CDN (content delivery network) will have a huge impact on your website and its services. A CDN helps in increasing your website’s speed and improving its performance. It also ensures that the end users receive the same quality experience, when accessing your site from any part of the world. Google Responsive Search Ads – What you need to know about them ?